When was Austin Wilkinson & Sons Ltd established. ? 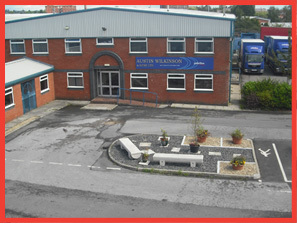 Our business was incorporated in 1960..based in Salford near Manchester, moving to purpose built secure premises in ATHERTON, M46 Post Code in 1995. What vehicles do you operate..
Our current fleet strength is made up of 25 plus vehicles varying from small curtainsided vehicles up to 44 Tonne gross “ Artics”. Do you run any special vehicles..? We operate a number of Large hiab * crane “ vehicles with lifting capacities up to 8 tonnes. 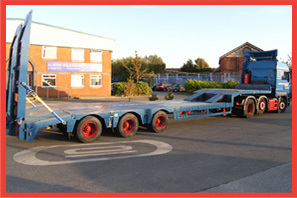 We have a step frame trailer plus A low loader / drive on Plant trailer. 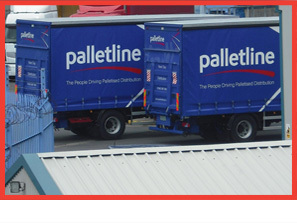 What areas of the UK do you cover ..
We cover the whole of the UK in association with 60 other Transport Companies under the shared user facility of PALLETLINE PLC a nationwide distribution network. What about Bookings for deliveries..
With our general haulage curtain-sided vehicles we are able to facilitate specific appointments and timed deliveries, including bookings out of normal working hours. Whilst our regular daily manned hours are from 6am until 8pm Monday to Friday we do operate night trunking vehicles. Are there any restriction on the goods I can send with you.? We would expect goods to be palletised wherever possible for easy handling. We are able to carry HAZARDOUS classed goods for all Class’s from Class 2, up to Class 9 including Class 7. We would require the correct notice and accompanying paperwork for these consignments. Are my goods covered by Insurance ? All goods are accepted for carriage under the current RHA conditions of carriage and as such are transported, within these terms of insurance cover. We can arrange a higher specific level of Goods in transit insurance cover, if we receive a written notice. Can you hold goods overnight..
Our premises of 3 acres in ATHERTON, which include offices, warehouse & transit shed along with a large hard standing parking area, is fully secure. Our security and working arrangements are such that our premises are manned 24/7. We hold goods on vehicles quite safely and securely for next day, early deliveries. What are your terms with reference to invoice settlement. We can accept credit card payment if you do not have an account opened with us. We can accept bank BACS payments for regular custom. To open an account we would simply require your company or trading details , along with your signature/ agreement to our payment terms and certifications. What other freight services do you offer ?